Clarinet concerto : piano reduction / by Colin Brumby. 21 Jul 89: Ferry Rd Studios, ABC, Brisbane. 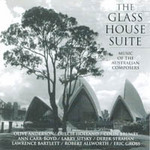 Featuring Paul Dean, Queensland Symphony Orchestra, Wilfred Lehmann.